This article is 2706 days old. 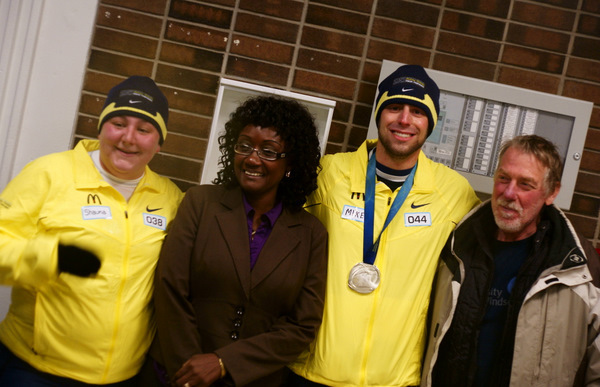 The re-creation of the Canadian-portion of Rick Hansen’s Man In Motion World Tour ran into Windsor at 4pm this afternoon with a stop off at the University of Windsor. 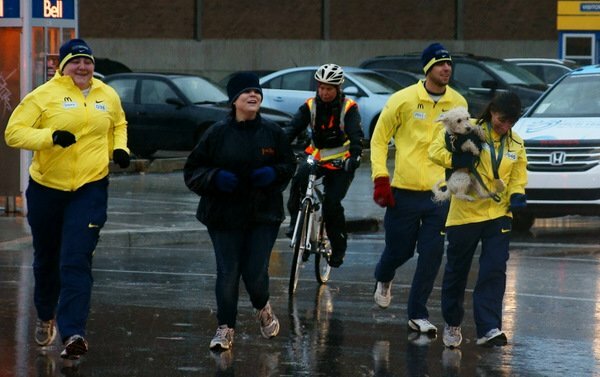 As many as 7,000 participants from across Canada who have made their own difference in the lives of others will walk, wheel or run in the Rick Hansen Relay. 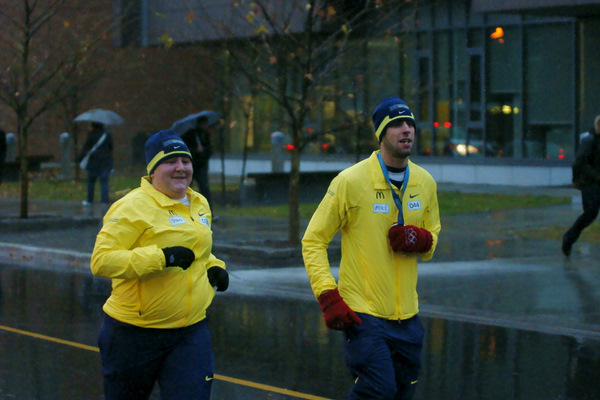 Here in Windsor, the Relay entered from Sandwich, stopped at the John McGivney Centre and the University of Windsor. 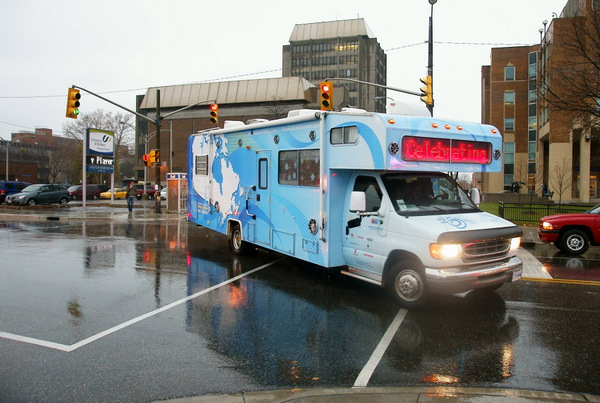 The relay entered Ontario on October 26th in Ottawa, and concludes on May 22, 2012 in Vancouver, British Columbia. 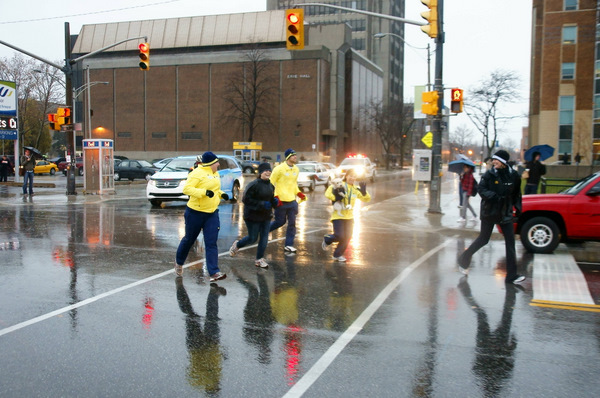 The 25th Anniversary Relay is planned to pass through Windsor on Tuesday. 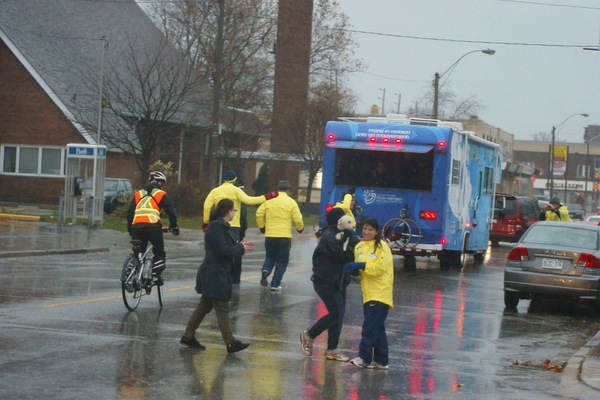 “The City of Windsor applauds the ongoing efforts and infectious spirit of Rick Hansen, as 25 years later he is still committed to a more accessible and inclusive world. 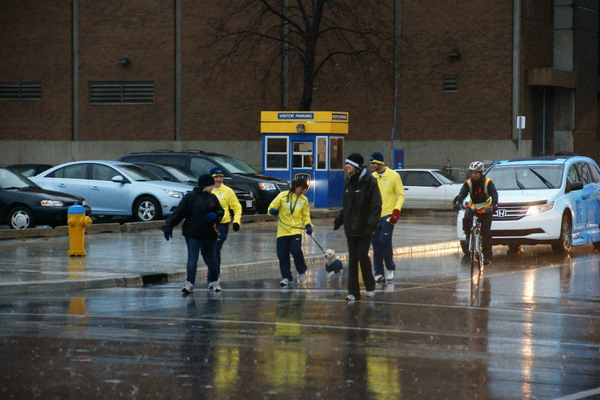 We are pleased to be part of the Rick Hansen 25th Anniversary Relay and I encourage all residents to attend the End of Day Celebration at the WFCU Centre and be part of the crowd on November 22nd to show our support for this significant milestone and journey through Windsor” said Mayor Eddie Francis last week. 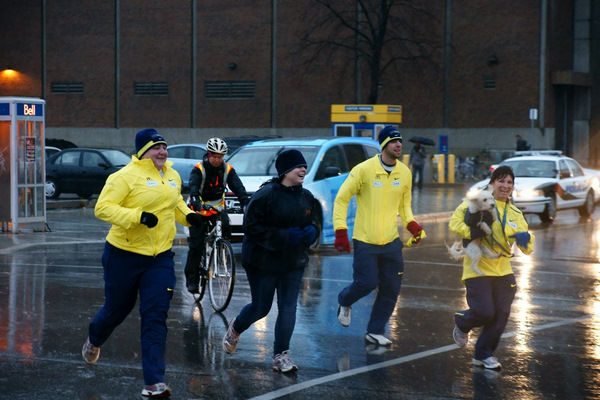 Currently the Relay is making its way past the University and along Riverside drive on its way to the WFCU Centre. Check out the full days itinerary here with all the stops along the way. 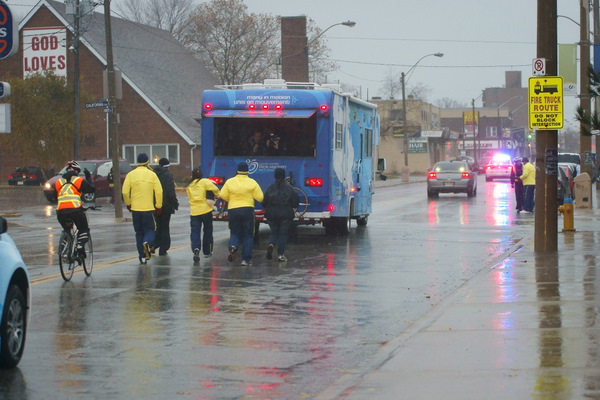 The relay will make its way to McHugh Street from Lauzon Road at 5:30 pm with final medal bearer Ray Grassi and over 100 local difference makers to arrive at the WFCU Centre for the official ceremony in the main bowl. 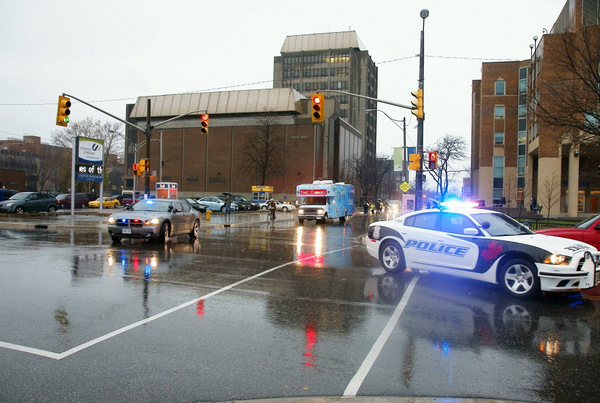 The event will feature live entertainment, a figure skating performance, a 15 minute scrimmage sledge hockey game between the Ice Bullets and the Windsor Spitfires followed by a free skate to the public and a difference maker trade show in the walkway. Ronald McDonald will join the McDonald’s local team to provide complimentary beverage and cookies. The event wraps up at 8:00 pm. 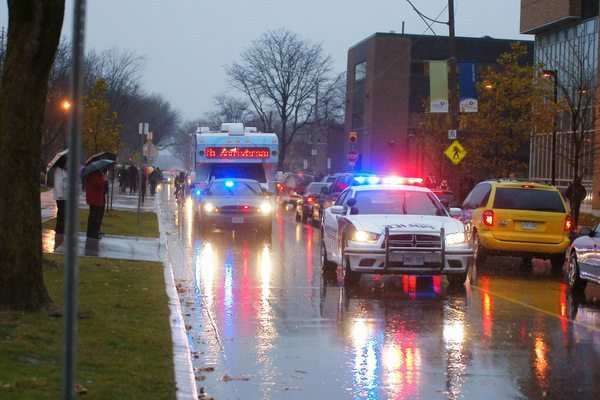 On Wednesday November 23rd it leaves Windsor and heads to Chatham. Check out here for a complete route itinerary.